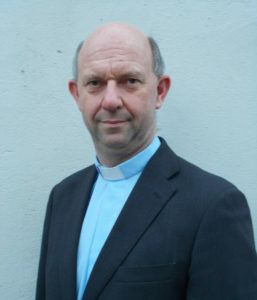 Rev David Moses has been appointed Bishop’s Curate for the Drumgoon group of parishes – Cootehill, Ashfeld, Dernakesh and Killesherdoney. David, from Omagh, Co Tyrone, has just completed his theological training at the Church of Ireland Theological Institute in Dublin. He is married to Catherine and they have three children, Sarah (22), Rachel (20) and Jonathan (17). David has been a Diocesan Lay Reader in Armagh Diocese for the past 27 years. Before commencing training for ordained ministry he was a sheep farmer, and also kept pigs until 2001. For the past year David has been Deacon Intern in the parish group of Monaghan, Tydavnet and Kilmore, working with the rector, Canon Ian Berry. This has been a very positive and enjoyable experience for him as he got to know the members of the congregations and helped each Sunday in the services. David was very pleased to be appointed Bishop’s Curate for the Drumgoon group. He would like to thank the members of the parishes whom he met when he and other prospective curates were given a tour of the churches a few weeks prior to his appointment. The people he met demonstrated a great commitment to their churches and David is very much looking forward to getting to know the congregations as he works among them over the forthcoming curacy. David will be ordained as presbyter at a service in Kilmore Cathedral on Sunday 9th September at 4.00pm. Everyone is very welcome to attend.